As more of our health information is saved, stored and transmitted online, how can doctor-patient confidentialitybe maintained? A quick scan of the headlines in Canada’s major newspapers reveals some alarming news: our health records aren’t always as private as we would like them to be. In October 2014, two staff nurses leaked information about former Toronto mayor Rob Ford’s cancer treatments. As of June 2015, charges have been laid against staff from the Rouge Valley Centenary hospital in east Toronto who allegedly leaked information about new mothers to a company that sells RESPs. These are just two examples of the many privacy related breaches that have occurred recently in Ontario. In 2014, 400 health care privacy violations were reported to Ontario’s Office of the Information and Privacy Commissioner. Because reporting privacy breaches is not required in Ontario, reports suggest that this estimate may not actually reflect the true number of privacy breaches, which can include anything from malicious hacker attacks against a large database to careless record keeping in a small doctor’s office. The proposed updates to the Personal Health Information Protection Act, announced by the Ontario government in June 2015, promises to establish better privacy and security requirements in the health sector and will require thatall privacy breaches be reported. Protecting privacy is important. 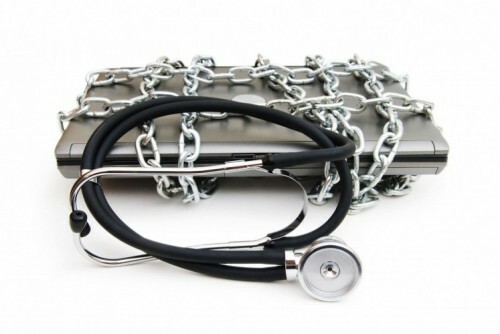 In the case of your digital medical records, it is also a complex process that requires a sophisticated system to protect it from unauthorized use. At Mohawk College, Alex Unruh and David Kirkley are working to protect you from privacy breaches before the data is even inputted into the system. They’ve just spent the first few months of their co-op work term in Mohawk’s mHealth & eHealth Development and Innovation Centre (MEDIC) examining Canada and Ontario’s privacy laws. They are working on a privacy assessment tool that is more than just a Band-Aid for breaches. It’s a comprehensive privacy checklist that can be used to make sure that any new eHealth or mHealth product can easily check for compliance and ensure that collected data is safe and secure. Paul Brown, Research Project Manager (Software) of iDeaWORKS and supervisor of the co-op students, believes that the privacy assessment tool is a smart solution that will answer a common question. “We want our clients to understand the privacy process so we created our own tool,” Brown explains. And the tool isn’t just comprehensive -it is fast. MEDIC’s efforts have made it possible for a digital health company to understand their privacy requirements in just a few days. While reading political legislation may sound like something more suited to a political science student instead of a developer, Unruh and Kirkley appreciated having the opportunity to tackle privacyhead-on. Kirkley praises the tool for its ability to make the privacy audit process more straightforward. Brown sees additional value in offering the tool on an a-la-carte basis - one that allows MEDICclients, depending on which stage of the process they are currently at, to understand whatis needed as they move through their development.